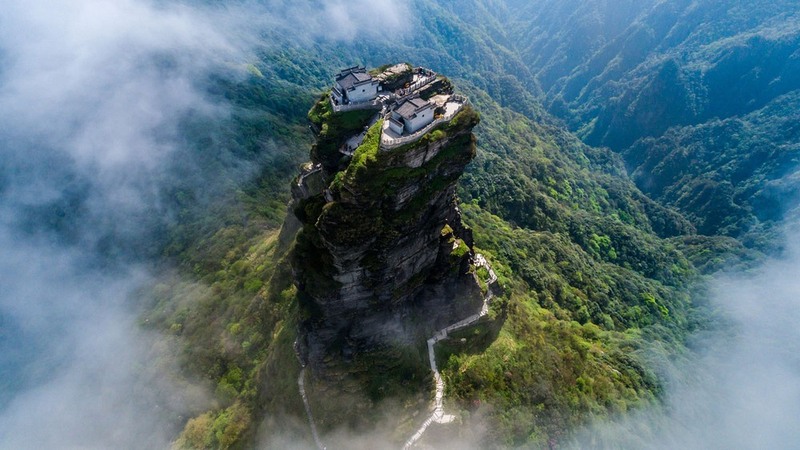 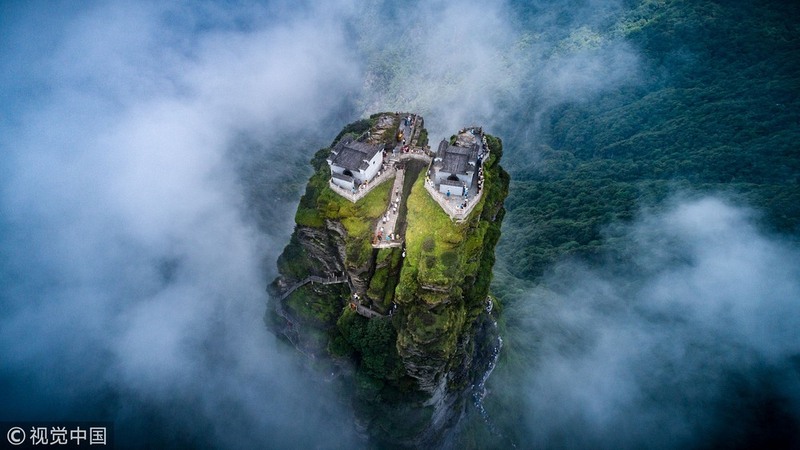 Fanjingshan or Mount Fanjing, in Guizhou Province in southwest China, is a sacred Buddhist site and a place of great natural beauty with unusual rock formations and rich biodiversity. 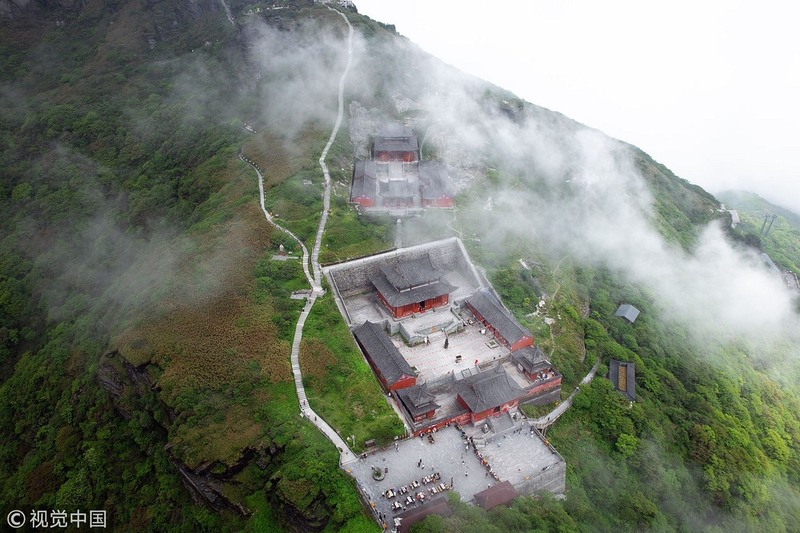 Many Buddhists believe that Fanjingshan is where one can reach spiritual enlightenment as Maitreya Buddha did. 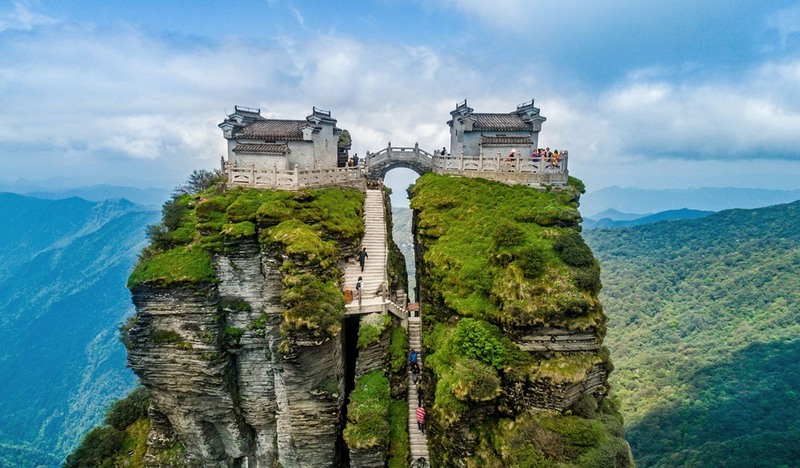 Since the Tang Dynasty, which ruled over China from the 7th to the 10 centuries, scores of temples have been built here but only a few survive. 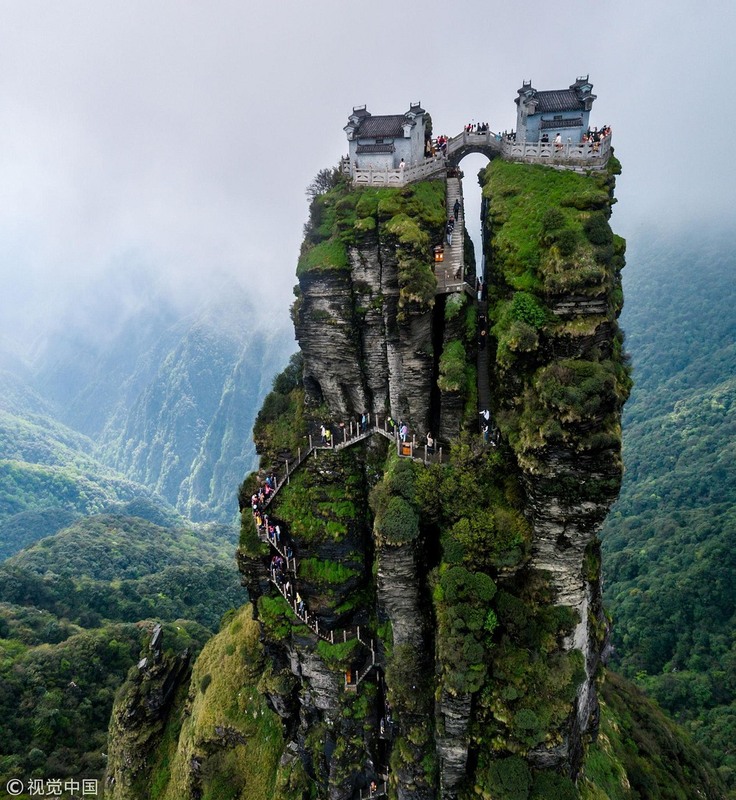 One of these pairs of temples are located on a top of a lonely column of rock that looks like a giant thumb. 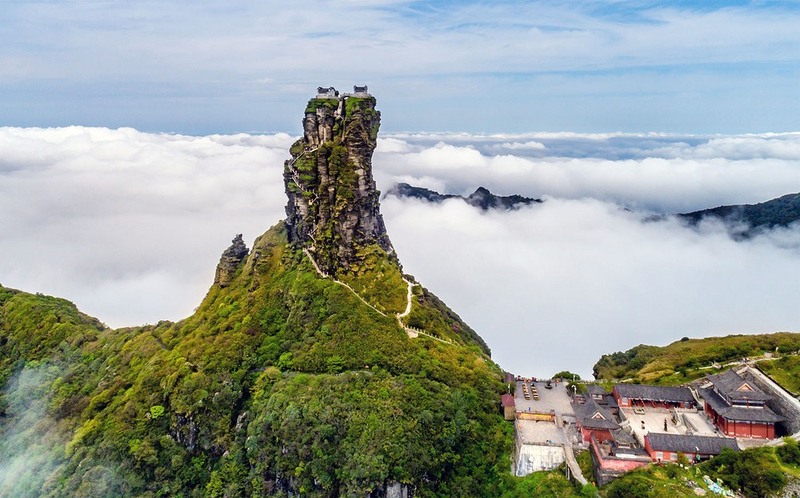 Known as the Red Cloud Golden Peak, the rocky thumb soars nearly a hundred meters above the surrounding mountains, at the summit of which are two temples—the Temple of the Buddha and the Temple of Maitreya—that are separated by a narrow gorge that visitors can cross via a short bridge. 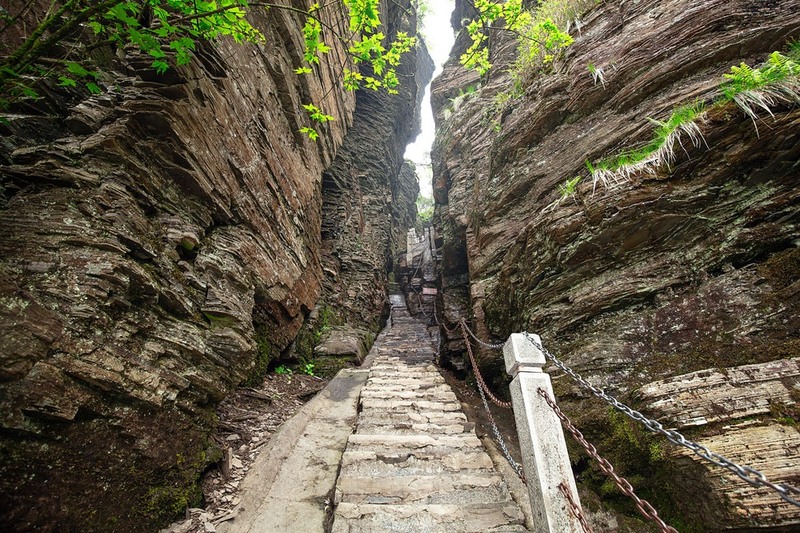 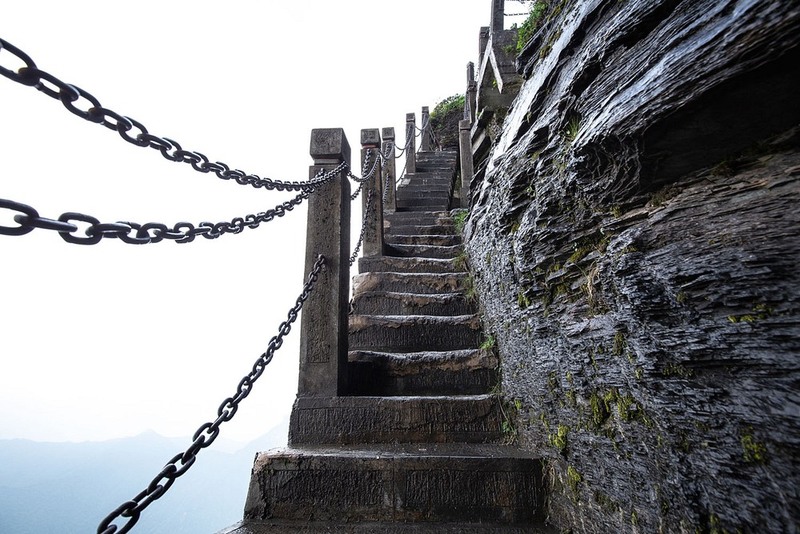 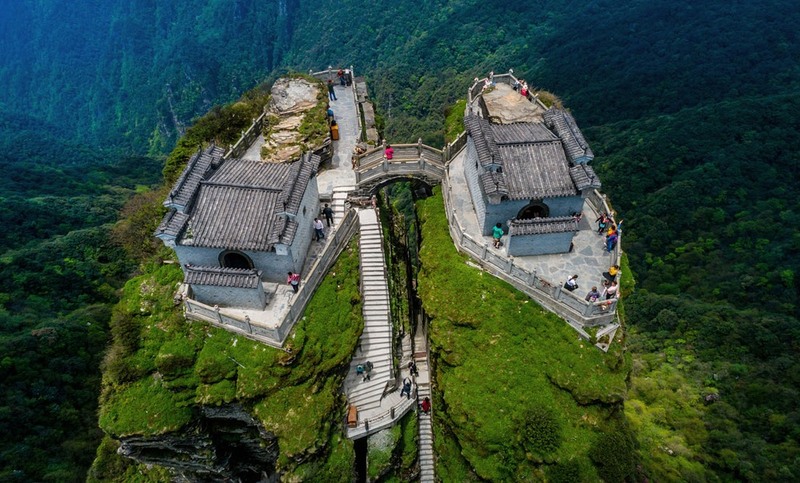 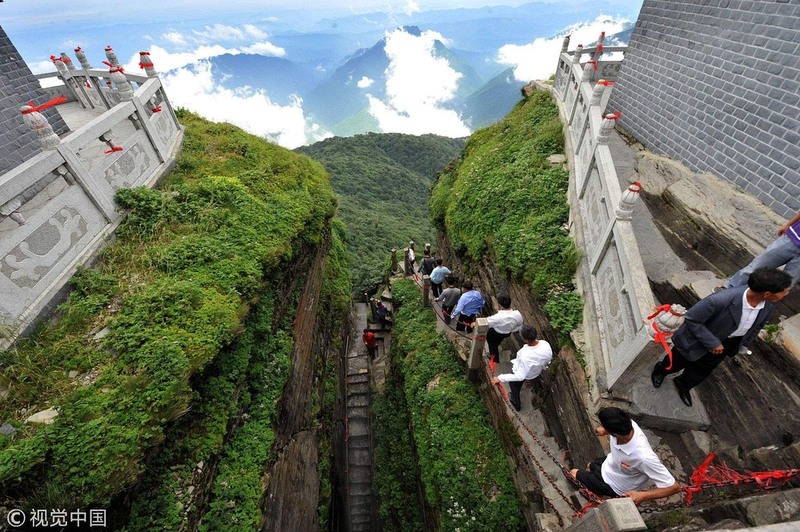 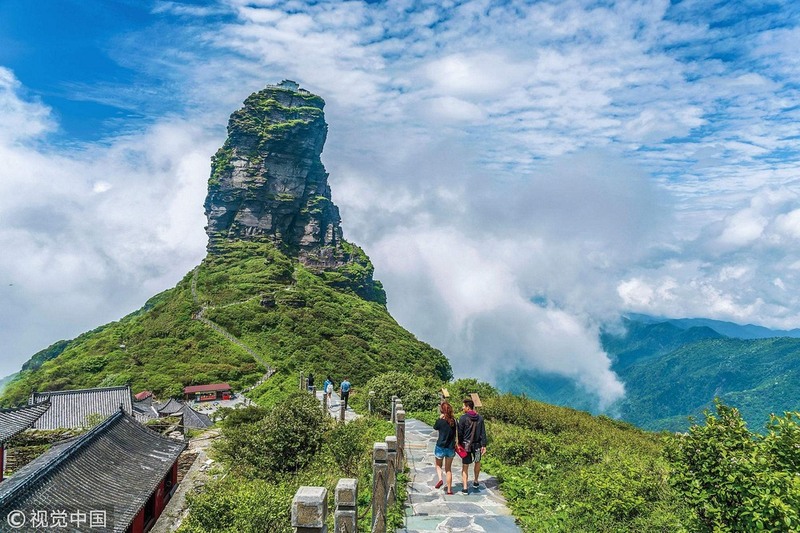 Climbing this 8,000-steps peak is one of the main appeals of visiting Fanjingshan for the stunning above-the-clouds views of the Wuling mountain range from the summit.